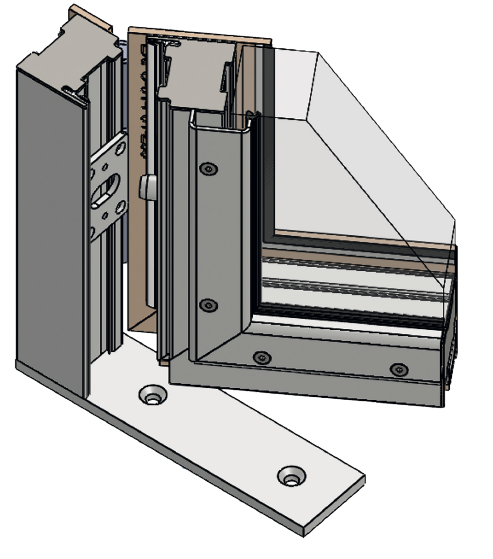 The range of high security joinery covers performance burglary resistance, bullet-proof, fire resistance and complies with Belgian Federal Justice Department standards. The “quality” requirements imposed on the production workshops go well beyond the statutory obligations: in this way, to obtain a test report that registers a pass, all components of the solution are subjected to testing, even the glazing, which is itself already compliant. Metal Quartz joineries combine design with a certification that covers all glass + profile + joints. They are tested in laboratories up to their highest level of performance, while preserving fine steel profiles that have an understated and sleek design. All doors, frames, counters or booths are manufactured on measure. Our products are available with or without glazing, steel or stainless (for some performances) or with a RAL paint finish. 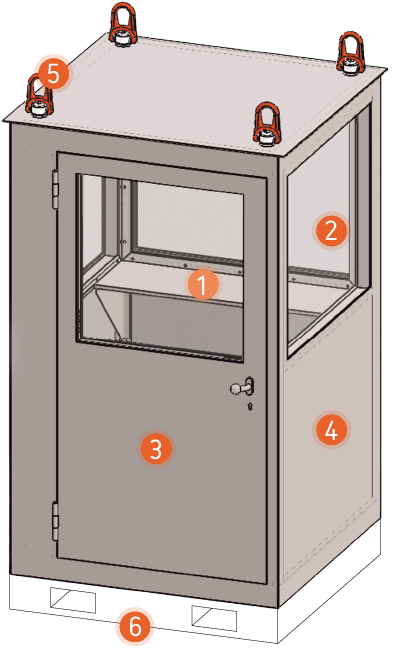 Metal Quartz designs and manufactures booths and guard houses with bullet-proof and / or burglary resistance performance features. Depending on the demands (performances, dimensions, finishes, equipments, etc…) Metal Quartz manufactures a tailor-made solution which corresponds to the requirements of its customers. HIGH-LEVEL SECURITY FOR PRISONS, COURTS, POLICE STATIONS, ETC. Metal Quartz has developed a reputation and specific expertise in first-rate physical security. Metal Quartz notably takes part in the securing of Belgian prison outdoor joinery (grills, barred windows, security bars, prison doors, grilldoors, etc.). Metal Quartz has developed, tested and certified a range of new products that meet the Ministry of the Interior’s latest security standards. as demonstrated by a large number of certifications and licenses. We can have the resistance of any security products developed tested and validated by recognised laboratories.